Acoustic design: Closed type, Weight: 18 grams, Frequency response: 20Hz - 20kHz, Drivers: 6mm, Driver type: Dynamic, Sensitivity: 95dB +/-3dB, Impedance: 16 Ohms, Battery life: 8 hours, Wireless range: N/A, NFC: No. 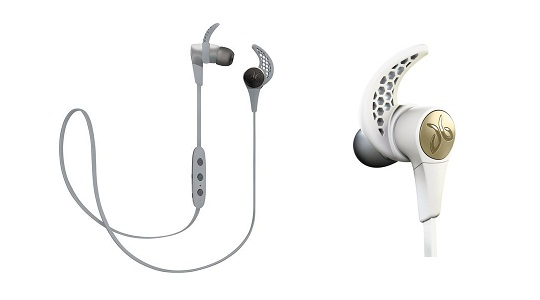 Jaybird X3 is an upgrade to its previous successful X2 version. A slimmer profile, great battery life, MySound app to choose a suitable sound profile, perfect universal USB charger are some of its great features.